‘Twas the night before the weekend where we gladly spend our Thursday night with our dearest InterNations friends. 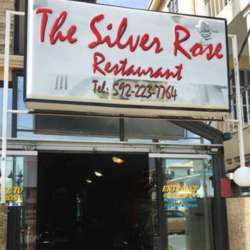 Please join us as we soak up the ambiance of the Silver Rose Restaurant where platter specials will be available. Prawns, fish, chicken wings and much more to eat with a side of french/plantain fries to munch on as we sip and chat. Join us at this month’s gathering at the newly added venue ‘The Silver Rose Restaurant’ right at the side of the Opus Hotel, 48 Croal Street, Georgetown where parking is available and great company awaits. See you there! Not sure where to find it? Call any of us at the following numbers: Ronetta - 689-3305, Kelly - 695-1505 or Jessica - 695-9065.